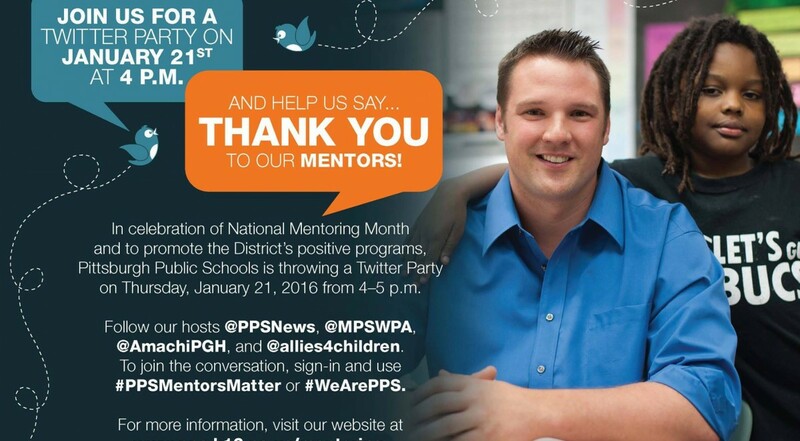 To celebrate National Mentoring Month, Allies for Children is teaming up with Pittsburgh Public Schools, The Mentoring Partnership of Southwestern PA and Amachi Pittsburgh to co-host a #PPSMentorsMatter Twitter Party Thursday, January 21st from 4-5 p.m. To participate, just follow the main host, @PPSNews, and tweet using the hashtag, which is #PPSMentorsMatter. During the Twitter Party, we’ll celebrate City of Pittsburgh crossing guards who are currently completing Everyday Mentors training. Everyday Mentors, an initiative of The Mentoring Partnership, empowers adults who regularly interact with young people to make an even bigger impact. The idea to formally train crossing guards as Everyday Mentors arose from a recent study commissioned by Allies for Children. The study focused on three central questions: how are crossing guards hired and deployed; what equipment and supervision does the City provide them; and what professional development, such as mentor training, should the City offer. Recently, Allies for Children visited Pittsburgh Brookline PreK-8, where students thanked crossing guards who in their own words acted as their guardians. Download a Thank Your Mentor Coloring page today! Be sure to join the Twitter party Thursday at 4 p.m.! 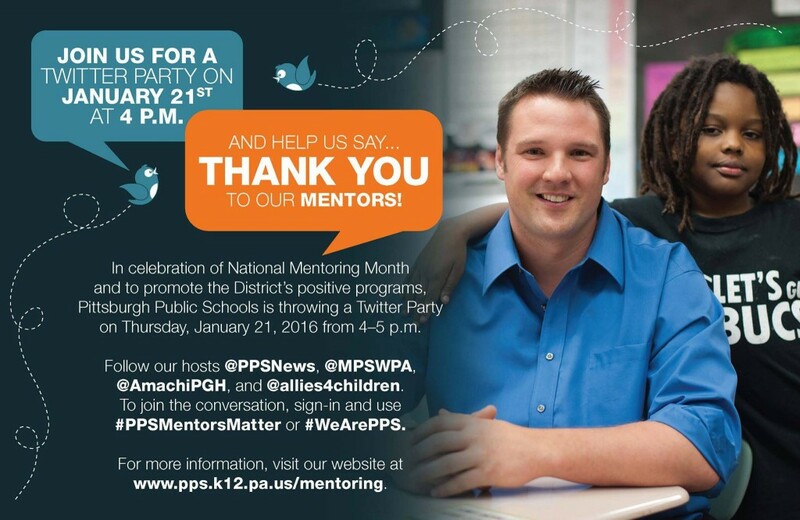 Retweet the message below to promote the party and thank your mentor.